Mandy and Eric are much more than customers, they’re family -- literally. Mandy’s great-great-grandfather was Frederick William Kolde, one of Whitehouse Brothers’ designers in the early 1900s. She now wears one of her great-great-grandfather’s designs every day. Mandy and Eric met in 2011 while Mandy was going to school in Savannah, Georgia. Eric was stationed at Fort Stewart, just outside of Savannah. Mandy has a tattoo of Ohio with a heart where Cincinnati is located on her foot. Mandy and Eric met at a bar one night and he noticed the tattoo, so he struck up a conversation. They quickly learned they’re both from Cincinnati. But the day after they met, Eric had to leave for California for a month as part of an Army training program. The day Eric proposed Mandy and Eric took a tour of historic breweries in Cincinnati with Eric’s sister Sarah and her husband Rick. Eric planned to propose at the last part of the tour -- an underground beer cellar. Mandy has our Halley’s Comet ring (#8136), a gorgeous ring her great-great grandfather designed in 1910 to pay homage to the reappearance of Halley’s Comet. When Eric and Mandy really started talking about marriage, Mandy told him about her great-great-grandfather and sent him to the Whitehouse Brothers website. 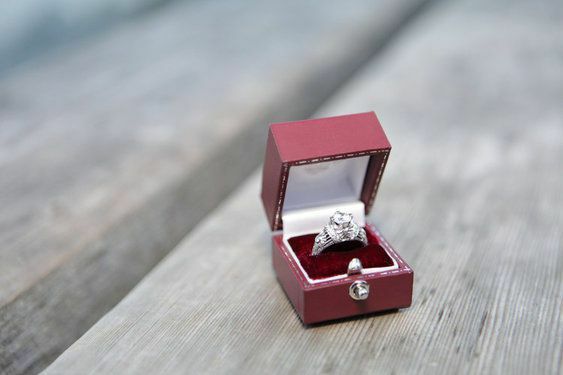 “I wanted the ring to be a surprise, so I didn't look at them, and I told him if he saw them and didn't think any of them were ‘the one’ that was ok, but I think we all knew I would have [a Whitehouse Brothers ring],” Mandy said. 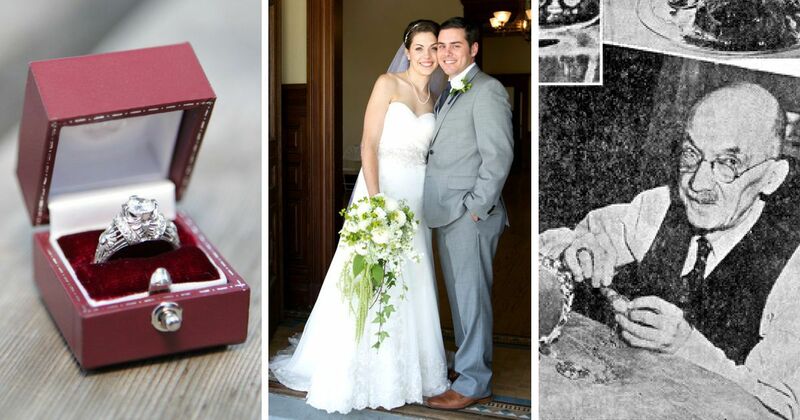 When Eric went to look at rings for Mandy, he took along her grandmother, Rosemary Kolde. “I think it was really neat for him to see that part of my family's history with my grandma,” Mandy said. Mandy’s grandma, Rosemary Kolde, was married to Frederick William Kolde’s grandson, Fred Kolde. When Mandy’s grandparents got married, Frederick William Kolde made Rosemary a pearl necklace. He hand-picked and strung each pearl. Rosemary and Mandy both wore the necklace on their wedding days. 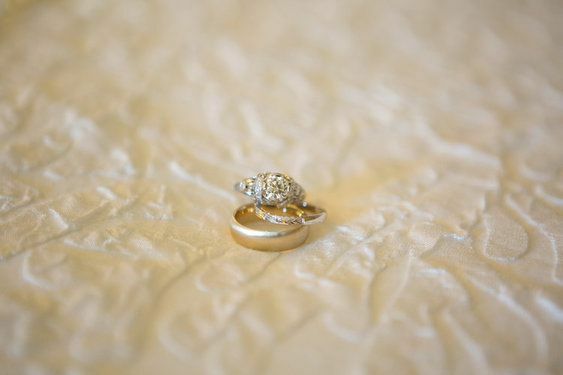 Wearing a Whitehouse Brothers ring designed by her great-great-grandfather is special to Mandy. Congratulations Mandy & Eric from all of us at Heileman & Company we enjoyed being a part of your story!